If you have picked up a carton of milk from the store, a Hungry-Man dinner from the freezer section or a bag of ice for a party, you’ve experienced the deft handiwork of a driver who was pulling a refrigerated trailer on their route. Many Americans take for granted the inherent convenience that reefer drivers provide to the general public, and could not imagine how vastly different their lives might be if we were a country without a driving job as proliferate as these. Globally, the need for transporting refrigerated goods is just as large. International advocates from the world of diplomacy and humanitarianism such as Jamileh Kharrazi have even spoken about the need to provide sustainable food to all parts of the world, and there is perhaps no better way to do so than to use the technology on the roads that keeps perishable items fresh. Drivers who haul reefer freight are some of the most invaluable truckers on the road, making it possible to the have the food, fuel and medicine that the general population needs in order to stay healthy and content. These drivers are also some of the most scrupulous and time-sensitive drivers in the world, both in realizing their value and recognizing the nature of their freight. Although reefer trailers are nothing new to the field of trucking, they were certainly a disruptor when they were introduced as a common sight on the road in the 1940s. Before a proper cooling system was developed, trucking fleets had to worry about the radiuses in which they could deliver, and trucking through the humid area of Miami in Florida or the desert regions in the American Southwest were near impossibilities. 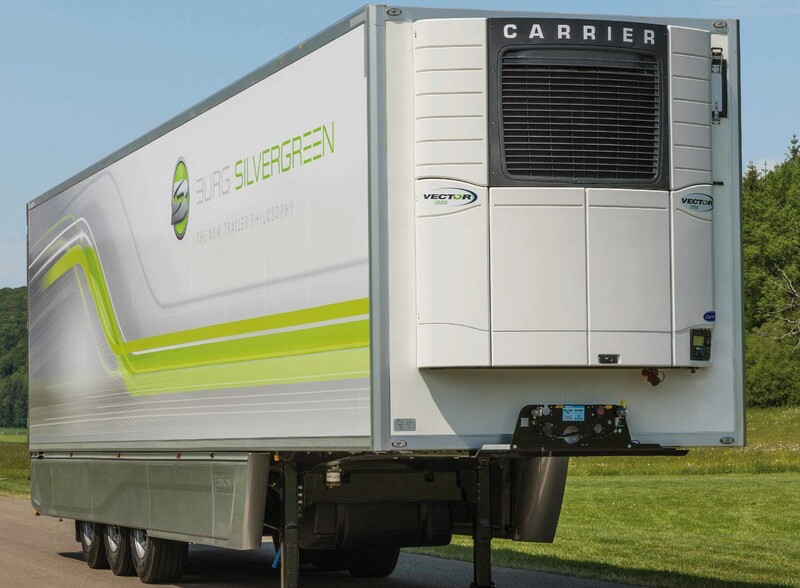 Prior to establishing the technology, a “refrigerated” truck driving job would entail driving a well-insulated trailer with an icebox compartment in the roof to store ice. The icebox would be trained down at the freight so that the chilled air could preserve the cargo kept in the trailer. Initially used for hauling produce, the “icebox on wheels” began to catch on and became a popular mode of transport across the nation. In the 1940’s as mechanical refrigeration became prevalent in more industrial settings and the average home, the technology found itself extending into the trucking industry. As the story goes, the impetus to replace ice-based trailers with a reefer trailer came about in Minnesota, when Frederick Jones, a livestock company owner was complaining to technical genius Joseph Numero about the inability to transport his cargo in hot weather. Eventually, Numero and Frederick Jones created U.S. Thermo Company, which is known as the first manufacturer of mechanically refrigerated trucks. Eventually, the technology developed specifically for trucks would be used as cooling systems for ships, trains and planes. However, the technology erupted in trucking and allowed innovators in other industries to break the mold with their offerings as well (namely, the food and drug industry.) 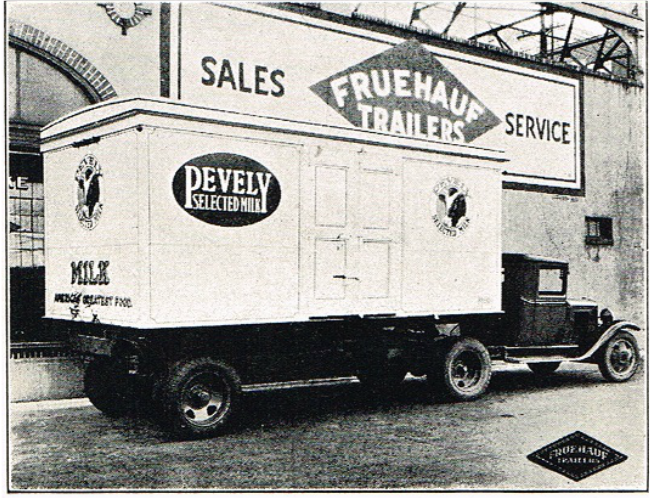 The so-called “reefer” trailers helped spread the growth of frozen food and the convenience food industry. As one of the most popular trailer types in the world (and certainly within the United States) a reefer trailer can present some excellent options for a trucker job. Often in high demand, reefer drivers may find that many trucking companies are vying for their expertise and due to this may see some handsome options for salaries directed towards them. The following are some of the main reasons in which driver enjoy reefer-related positions. - Excellent Miles: Drivers can see an immense amount of miles hauling a reefer trailer. As most of the produce in the country is generated from California, some truckers enjoy coast to coast miles as well as making deliveries nearly everywhere in between. - Potential Lack of Theft: More times than not, a driver may be able to haul a fairly nondescript refrigerated trailer. Without the visual barrage of logos and images (as well as the advantage of carrying items that are perishable) some thieves may be discouraged from attempting to rob your trailer. - Hauling Versatile Items: One of the inherent advantages of reefer trailers is that while they can haul refrigerated goods they do not require only refrigerated goods to be contained within them. Even if refrigerated loads are not available, a driver can carry other goods in the trailer, meaning that there may always be a run to embark upon. Reefer drivers are always a valuable resource. No matter how the economy ebbs and flows, there will always be a demand for food, and therefore a need for food shippers. - Unit Malfunctions: Keeping an eye on the operations of the unit is one of the most important and demanding aspects of a reefer hauling position. While all drivers have to contend with ensuring that a trailer is properly hitched, refrigerated hauls add yet another dimension to one’s dutiful driving habits. - Unloading At A Distributor: Some drivers may find that certain distributors in which they deliver to take a longer time to unload than others depending on the nature of the freight. As pallets that are cooled may need to be stored and implemented in different ways, wait times for these average at wildly different intervals. - Keeping Units Clean: Nearly all reefer drivers across the board share similar complaints regarding keeping units cleanly. Trailers must be frequently cleaned in order to ensure overall sanitation, and often this cleaning must be accomplished after every load. Maintaining this level of sanitation is a constant part of the job which may as well be as routine as driving the unit itself. Despite some of these perceived difficulties, drivers are generally not dissuaded from taking on a specialized job such as these. Many consider these aggravations to be nothing more than that – aggravations – and that nearly any type of run would pose a similar level of hardships. How Much Do Reefer Drivers Get Paid? Due to the fact that reefer drivers are needed across the country (and across the globe) these type of drivers are generally paid well in regards to other types of drivers in the landscape of commercial driving. According to data collected from drivers across the country, on average, reefer drivers have the opportunity to earn $60,000 per year. A salary will be dependent on one’s location and experience level hauling freight, but with a highly respectable base pay, drivers in these cool positions generally see a starting salary that is anything but substandard. How can a Reefer Driver Make More Money? One of the simplest ways for a driver to increase their paycheck is by working in an area of high-volume for refrigerated goods and perishable items. These locations may also be near major distribution centers or hubs and provide many job openings simply because they are close to the origin of deliveries. For the driver who may have a more open lifestyle, consider relocating for a potential driving job in a state such as Texas, where several centers for major retailers and food producers are located. No matter who a consumer is, what they do, or where they come from, everyone must eat at one point or another. Due to this intrinsic fact of human nature, there will always be a great deal of openings for the refrigerated driver just as the need for cooled transport exists. The reason that the average person does not have to worry about a certain type of animal, produce or cuisine being a regional dish only is due to the invention of Joseph Numero and the ability to bring foods and other goods to anywhere in the country a truck can trek. We also cannot diminish the efforts of the drivers throughout the decades who have carried Numero’s technological feat down the highways of America, doing so in a manner that is both safe and reliable. Trucking may be the undeniable backbone of the economy in America, but it certainly would not stand as strong without the reinforcement that reefer trailers provide to those in need.